PB-33xs : 6.0 volt 2500mAh rechargeable Ni-MH battery for KENWOOD HT radios. Fits TH-22A/E, TH-42A/E, TH-79A/E, TH-79AKSS, etc. Replaces original PB-32, PB-33, PB-34 batteries. Provides LONGEST operating time, with medium Wattage TX output. This battery pack is made with premium SANYO 2500mAh NiMH cells. It can be recharged best with a Desktop drop-in Charger (KSC-14), or with a custom direct Plug-in Wall Charger (WC-PB33xs, which can plug into the charging jack on the back of the battery). CP-79: 12VDC Power Cord for Kenwood TH-22/A, TH-42/A, TH-79/A radios, etc. 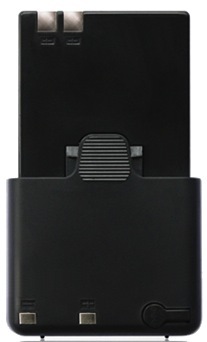 WC-PB33: Custom direct Plug-in Wall Charger for PB-33xs PB-33xe PB-33xh battery. 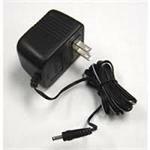 WC-PB33: Plug-in Wall Charger for Batteries America PB-33xs, PB-33xh, PB-33xe battery. Plugs into 110-120VAC outlet; other end plugs directly into battery, and charges battery overnight. KSC-14 : Desktop Rapid Charger for KENWOOD PB-6, 7, 8, 32, 33, 34, 36, 37, KNB-11, 12 etc.